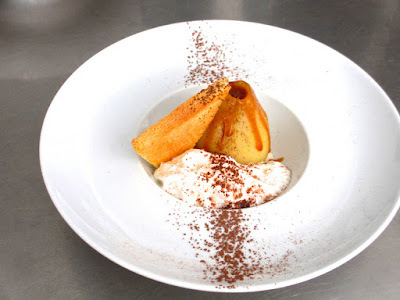 I had a fun cooking lesson the other day, which focused on using the syphon, a device like a selzer maker that uses nitrogen dioxide instead of carbon dioxide to make foams and whipped creams. 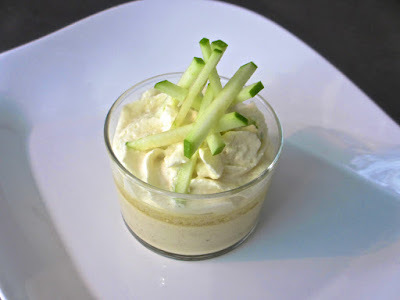 First, a cream of foie gras (not made in the syphon) with a spicy whipped cream on top and little apple bâtons for decoration and a hint of sweetness. 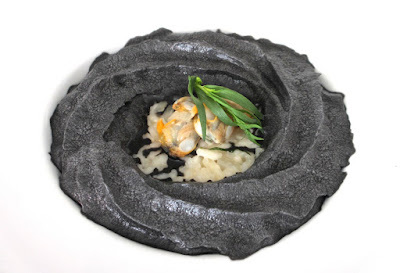 Next, a good-tasting baby clam (cockle) risotto with a pretty unattractive cuttlefish ink emulsion. Finally, a vanilla poached pear with pear chantilly, salted caramel sauce and toasted brioche, delicious and attractive, I think. Using a syphon is fun and something you can easily do at home. Just know that the contents must contain fat (cream, egg whites) or a gelling agent (gelatin or agar agar). 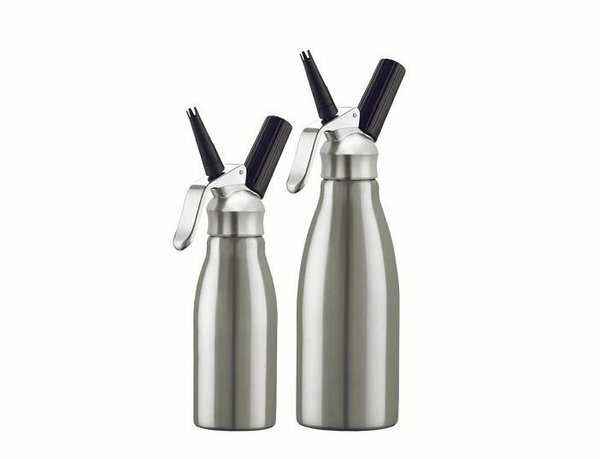 I have had a syphon for several years and rarely use it, but hope to use it more often, at least for super light flavored whipped creams that have about double the volume of ones made in the traditional way.